Hey Hyper, good to see you here. Glad to see you like it here Hyper, welcome to the site! smh, maik, maik! You crack me up with your "random" moments, but I lurvs ya for 'em! This whole convo is just too much, BUT I read the whole thing! got to go to bed too. HAHAH GTG NOWW IMM NOT SUPPOSED TO BE ON THE COMPUTER!! ;) HAHA BYE TTYL!! 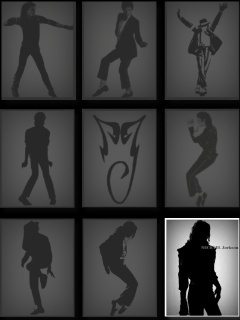 HAHHAHAH LOL THRILLER!!! THRILLER NIGHT!!!! HAHAHAH AWWWWW LOOK OUT FOR THAT TREE AHHHH HAHAHHAAHHAHAH!!!! OMGG IM TOO HYPER HAHAHAHAHAAH I CANT STOP LAUGHING!!!! It's a peanut butter jelly time! Peanut butter jelly time! OMG MEE TOO ECSPEACIALLLY CARLTON HE THE BEST HAHAHHAHAHAHHAHAH LOL!!!!!!!!!!!!!!!! OMG THATS SOOO COOLL I LOVE CARLTON AND THE FRESH PRINCE OF BEL-AIR!!! HAHA THIS SITE IS AWESOME!!!! OMG IS THAT CARLTON DANCING!!! OMG I CANT STOP LAUGHING!!! HAHAHAHAHHA LOL!!!!! Well done Nicole. pat yourself on the back. hahah thank you!! im proud of myself too hahah lol jk!! thanks!! i just joined this site like right now haha and i have no idea wat to do hahah lol if u could i would appreciate it if u could be my friend and help me please haha thank you this place looks fun and awesome!!!! hahah these things r cooll! !